I’ve had dreams of traveling since pretty much the day I was born. My father is from Bolivia, so my feet have been itching to go there all my life. Bolivia hasn’t been checked off my list yet, but lots of other places have, and I intend to continue exploring this big, fascinating world until my wanderlust is satisfied which, I suspect, may be never. Two of my biggest passions are horses and yoga, and I often combine them. Finding unique spaces in which to practice yoga and discovering innovative equestrian programs are two things that drive me to explore. I don’t limit my destinations to those that have yoga and/or horses, though, as it’s a big world, and I intend to explore it all. 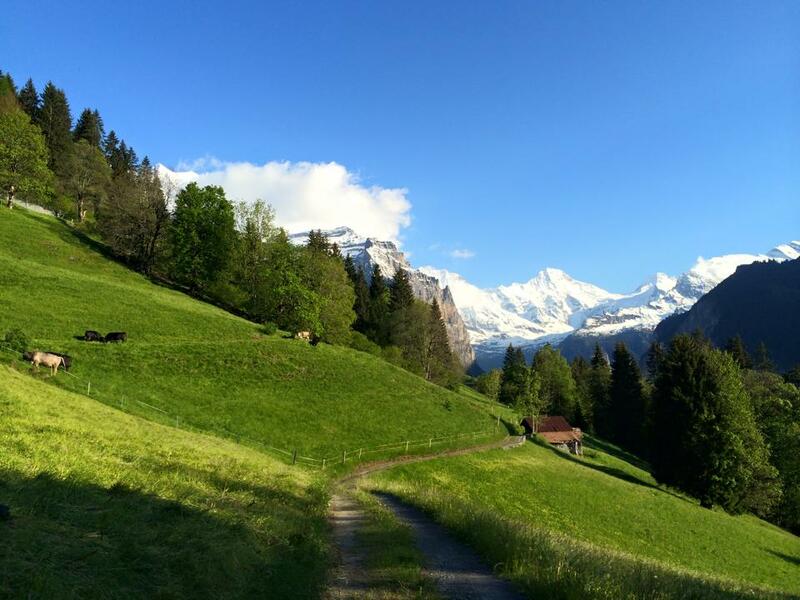 Wengen, Switzerland – land of the greenest grass you’ll ever see and idyllic snow-capped mountains. One of my favorite things about traveling is turning strangers into friends. I’ll write about the people I meet, my experiences traveling as a woman, unexpected delights, and making the best of missing a train and other travel mishaps. Thanks for joining me on this whimsical journey. If you have any questions or feedback, leave a comment below. Follow me on Instagram and Twitter for more photos and instant updates! Cinque Terre, Italy has the cutest train stations and they smell good. Just look at all those flowers.